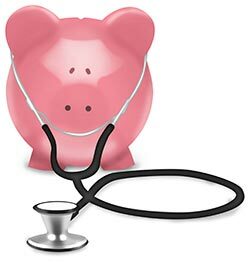 The Internal Revenue Service (IRS) has announced the 2019 inflation-adjusted amounts for Health Savings Accounts (HSAs) and high deductible health plans (HDHPs). For calendar year 2019, the annual limit on HSA contributions for an individual with self-only coverage under an HDHP will be $3,500, up from $3,450 for 2018. The annual limit on HSA contributions for an individual with family coverage under an HDHP will be $7,000, up from $6,900 for 2018. For calendar year 2019, an HDHP will be defined as a health plan with an annual deductible that is not less than $1,350 for self-only coverage or $2,700 for family coverage, and annual out-of-pocket expenses (deductibles, co-payments, and other amounts, but not premiums) that do not exceed $6,750 for self-only coverage or $13,500 for family coverage. Click here to read the IRS announcement. Check out our Health Savings Accounts section for more on HSAs. 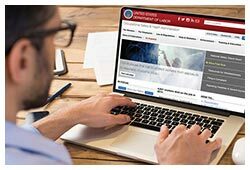 The federal Occupational Safety and Health Administration (OSHA) recently announced that covered establishments in all states—including establishments in California, Maryland, Minnesota, South Carolina, Utah, Washington, and Wyoming—must electronically submit data from their 2017 OSHA Form 300A to OSHA by July 1, 2018. Previously, employers in those seven states were deemed exempt from the electronic submission requirement. Click here to read the OSHA announcement. To submit your establishment's data, click here. To learn more, visit our Electronic Recordkeeping Requirement page. Check out our Affordability & Minimum Value page for additional details. Encourage your employees to step outside for at least 15 minutes each day. Exposure to natural sunlight can prevent workers from feeling confined to the office during the warm summer months. Holding business meetings outside may also help to boost workers' morale. Change things up! Employees may become more motivated when their jobs are more challenging and interesting. Consider lateral moves to build your workers' skill levels and knowledge base. Consider flexible working arrangements. Arrangements such as flextime or staggered work hours may allow employees to enjoy summer activities and attend to family obligations, while coming to work refreshed. It's a good idea for employers to work with a knowledgeable employment law attorney when creating policies on flexible working arrangements, to ensure policies and practices are in compliance with the law and do not unlawfully discriminate against certain employees. 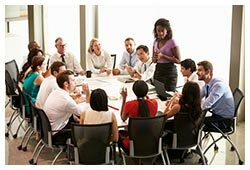 With the summer hiring season underway, employers should begin thinking about how best to hire and manage seasonal employees. 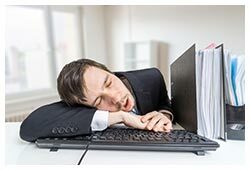 Employers who do not dedicate time to these critical steps risk having to face disgruntled employees, unhappy customers, and even legal violations. To learn some best practices for hiring and managing seasonal employees, please watch the video below. To learn how to attract top talent to your company, visit our Recruitment & Hiring section.